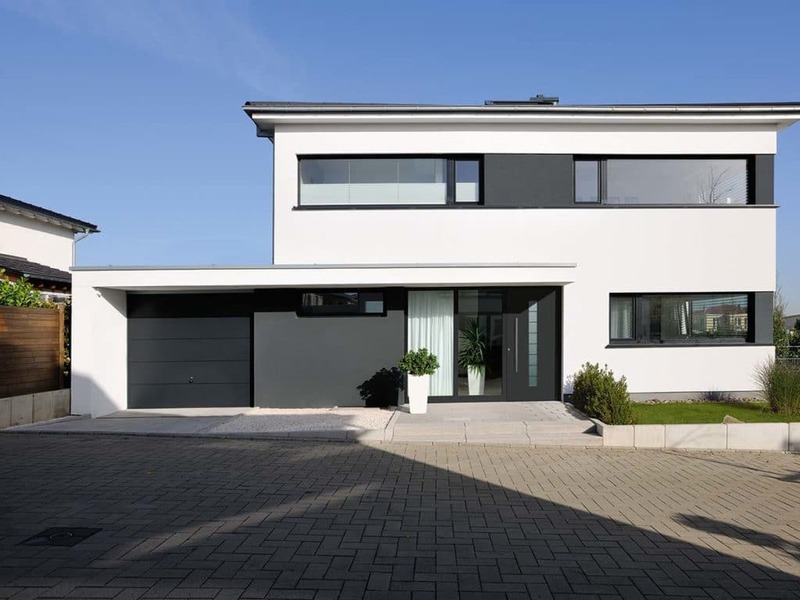 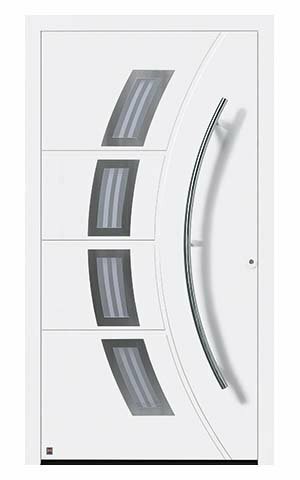 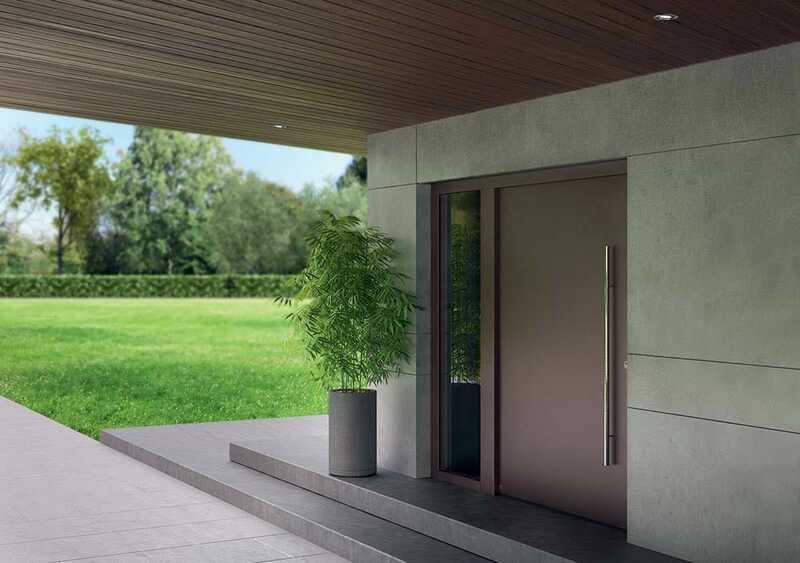 Hörmann’s ThermoSafe range of aluminium front doors offer the perfect balance of style and performance, bringing you a secure solution and plenty of options to suit your personal taste. 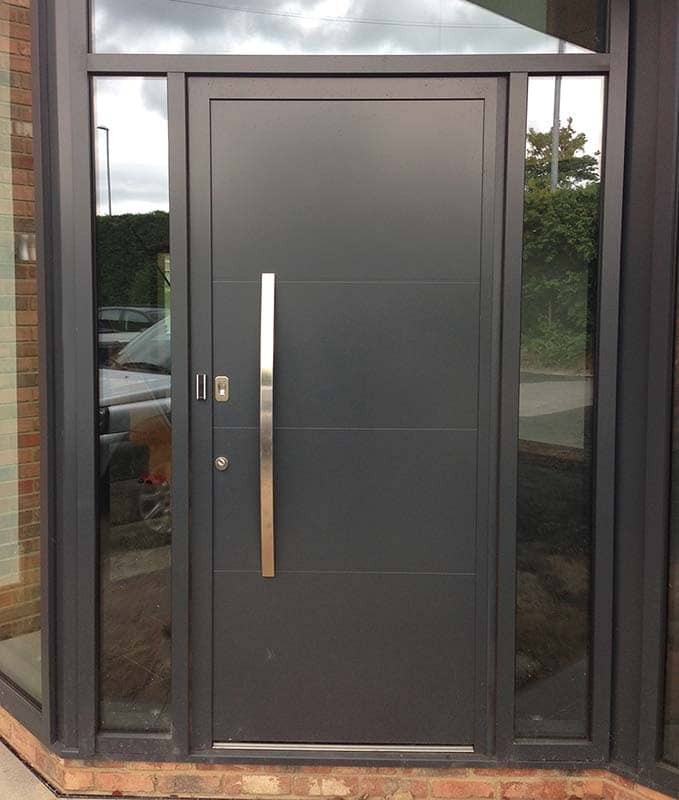 These front doors are exceptional quality, as you’d expect from one of the leading global manufacturers. 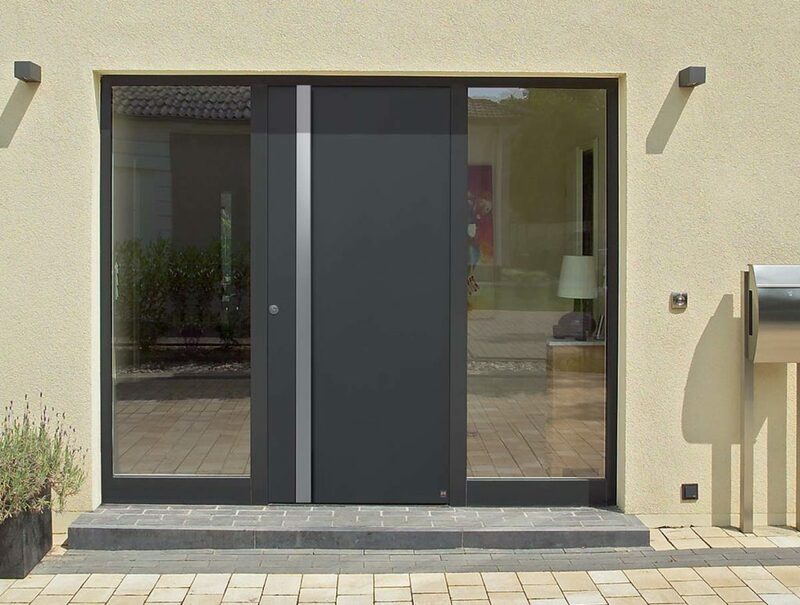 Aluminium doors are reliable, strong, highly secure with multiple point locking and have a huge rage of colours and designs, take a look at the video find out more. 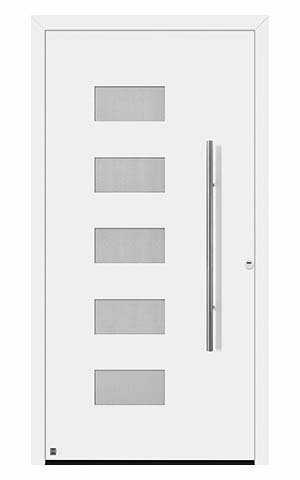 With over 70 different designs to choose from, you can opt for a classic styled door or a more modern look. 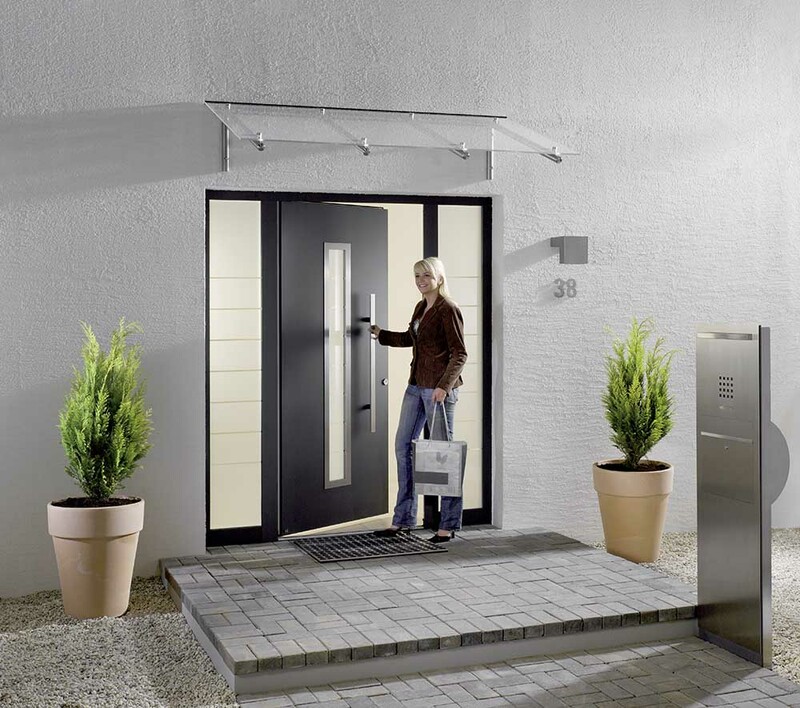 You’ll be amazed at the array of glazing and handle styles, or you can choose a solid look if light isn’t an issue in your home. 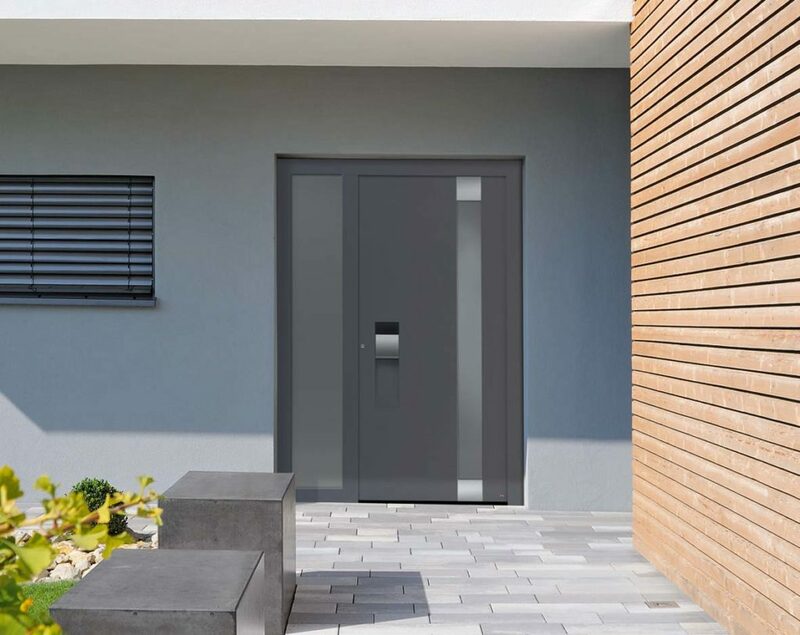 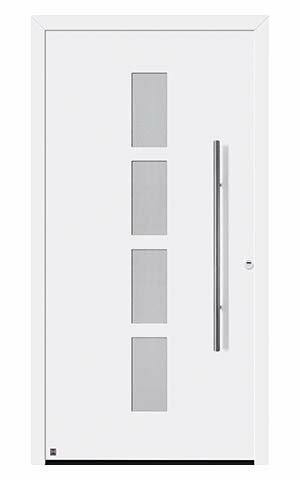 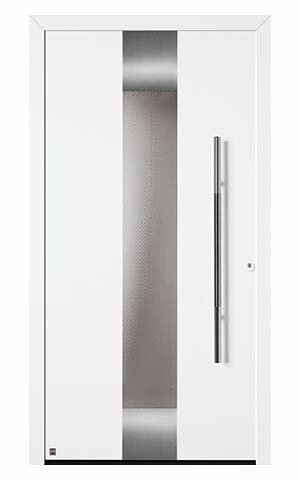 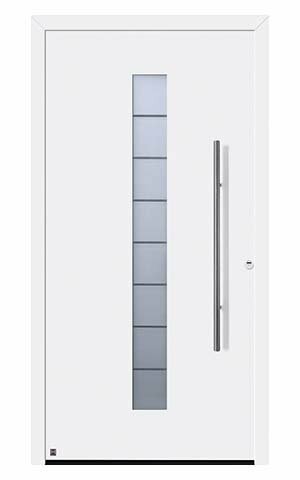 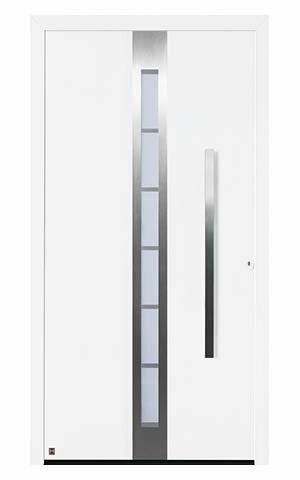 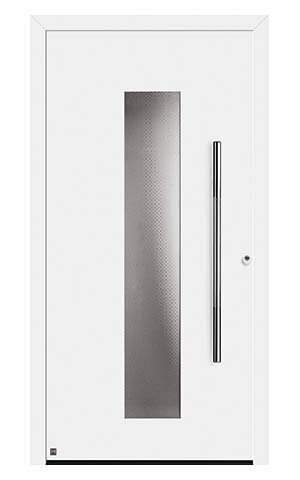 The ThermoSafe entrance door comprises of a 73mm thick aluminium door leaf with PU rigid foam infill and contains a thermal break on the inside. 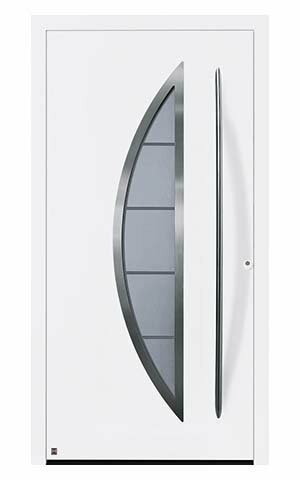 The aluminium door leaf is situated on a 80mm thick aluminium door frame. 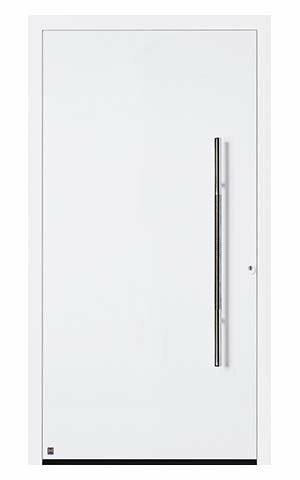 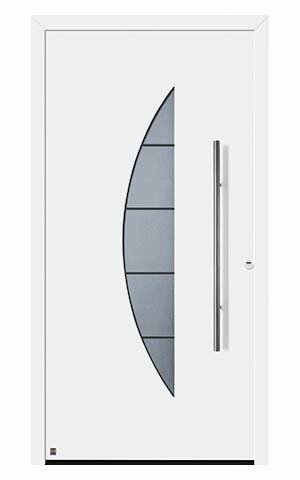 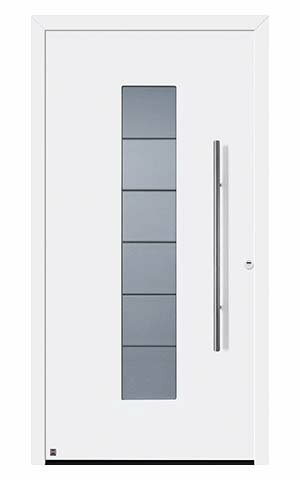 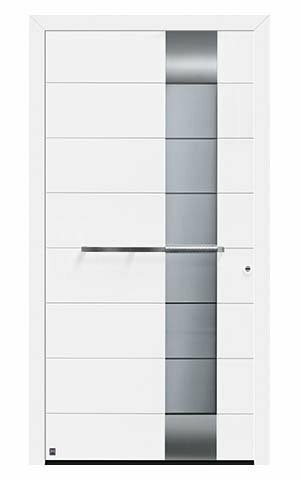 The door is robust, solid and is triple sealed which offers excellent protection against the British weather. 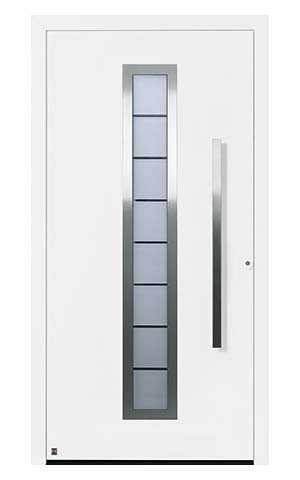 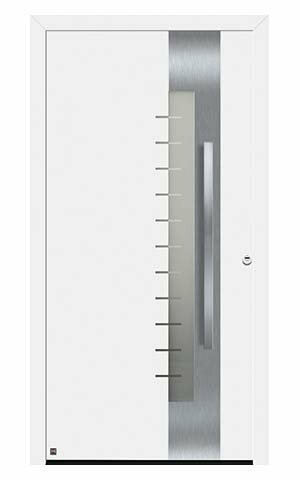 State of the art 5 point locking system with security bolts on the hinged side for added protection. 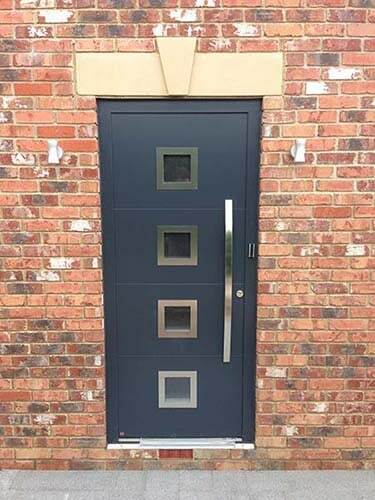 Choose from over 70 door designs from classic to modern with 18 preferred colours as well as handles, letter boxes and door knockers. 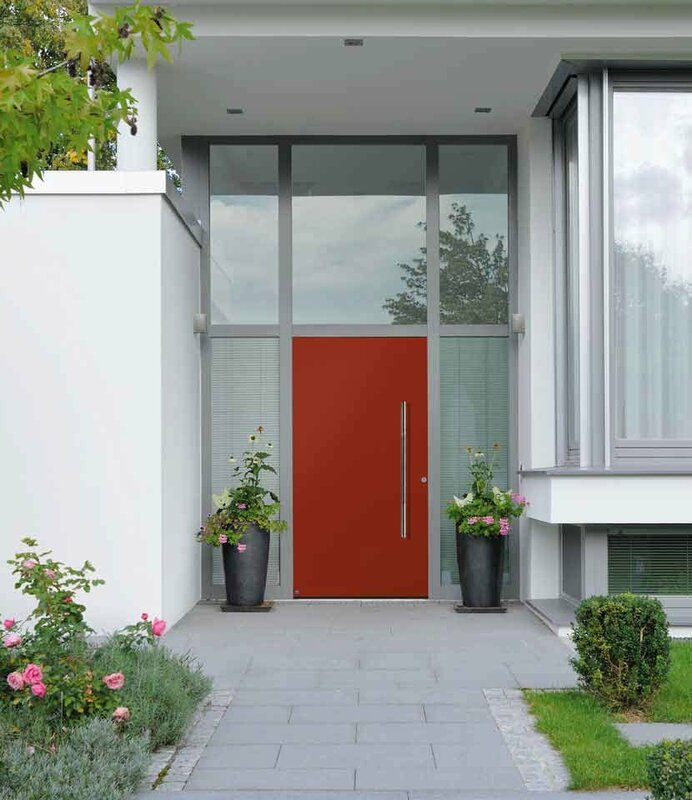 Why not add a finger print scanner to your new door?